We had a great time last month during the boys tenth birthday party. I know, I know.. I can hardly believe that they are ten either! They celebrated with a sleepover birthday party while I created a fun Star Wars themed snack bar for all of the late night shenanigans. 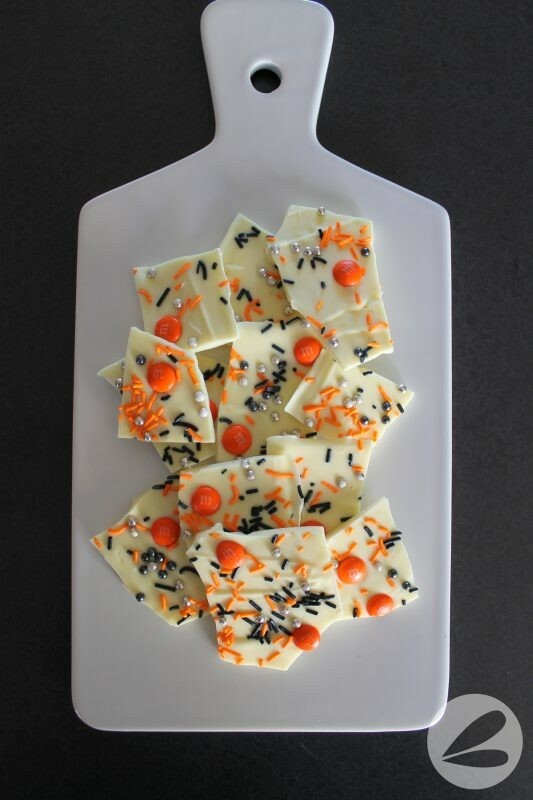 This BB8 Bark was a huge hit with the boys! I used a combination of BB8 coloured candy to create this robot themed chocolate snack. 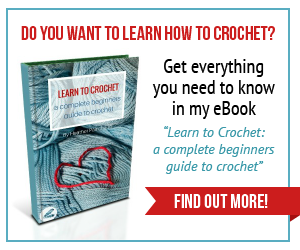 It was so easy and fun to make! Seriously! I found all of the candy bits at the Bulk Barn. 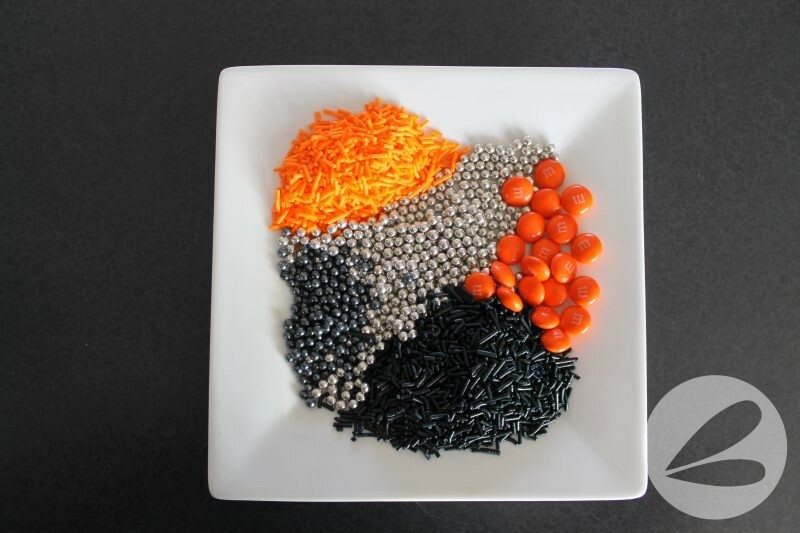 Orange M&Ms, black sprinkles, orange sprinkles, silver balls and black balls. I really wanted the colours to reflect BB8 and think that we nailed it with these! Step 1. 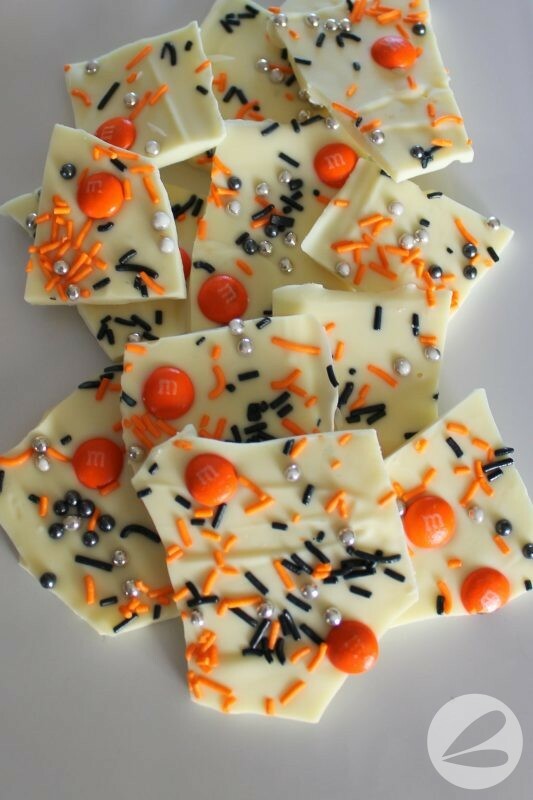 Melt the white chocolate chips in a microwave safe container. Step 2. 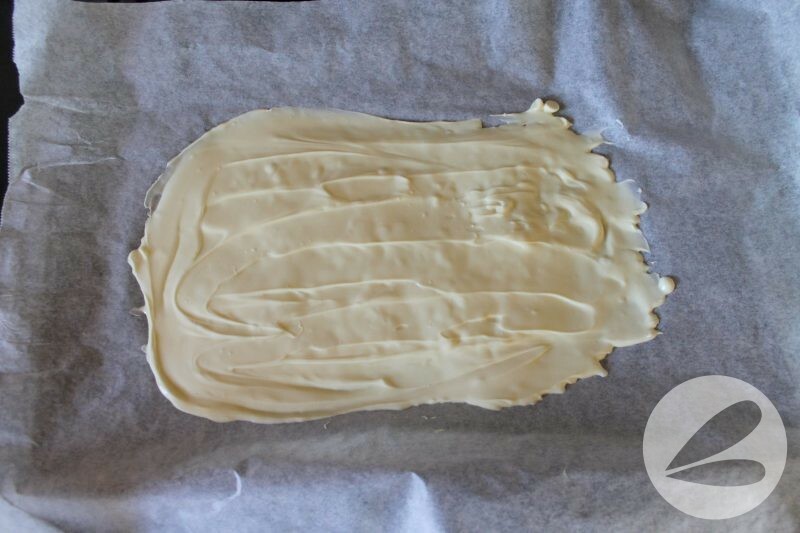 Spread the melted chocolate out onto a sheet of parchment paper, about 1/4″ thick. Step 3. 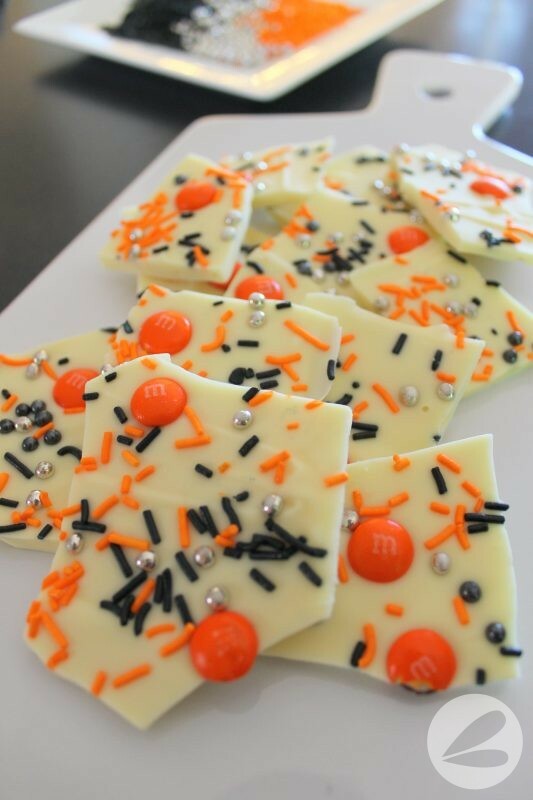 Add candy to the melted chocolate before it cools. Step 4. 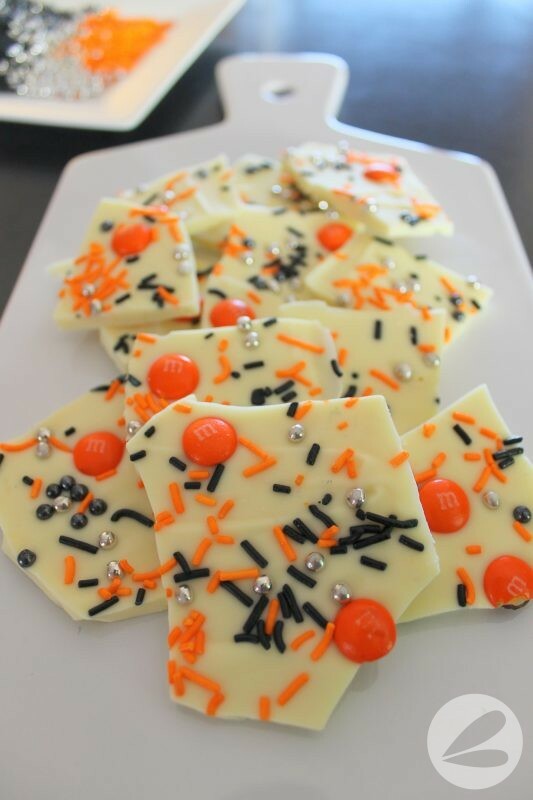 Allow the chocolate to harden completely before breaking into “bark” sized pieces. 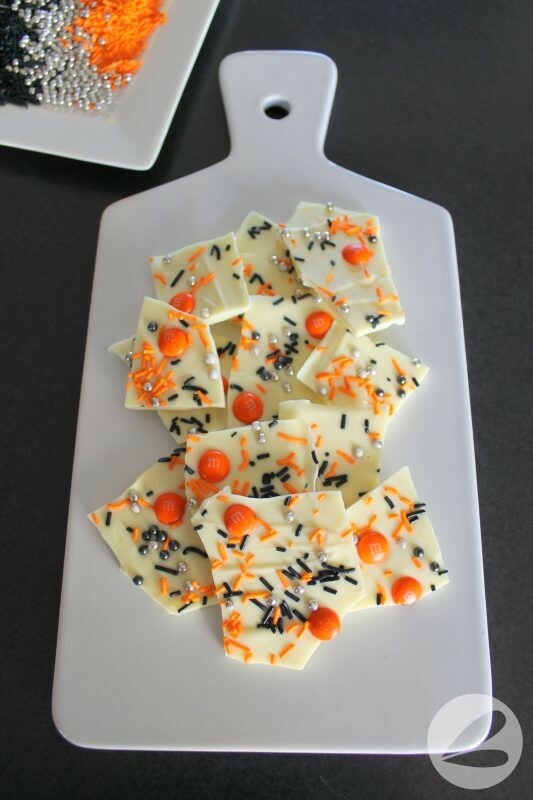 Be sure to use a sharp knife or dry hands when breaking the bark otherwise the colour from the candy tends to rub off if there is any moisture present. I put the entire slab of chocolate into the refrigerator to harden and cool before breaking into pieces. I love how this colour combination turned out! Totally reminds me of BB8 and a perfect addition to our Star Wars themed birthday celebration. Yummy too! 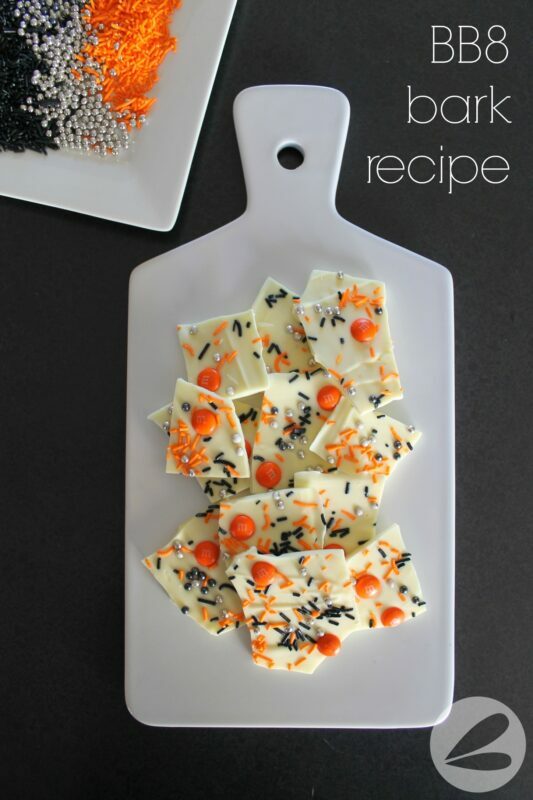 There are hundreds of combinations that you could create with this recipe actually. Red, blue and silver candy for R2D2? Brown chocolate for Chewbacca? Wait a minute! I am totally creating Chocolate Chewbacca Bark next time. Stay tuned!! 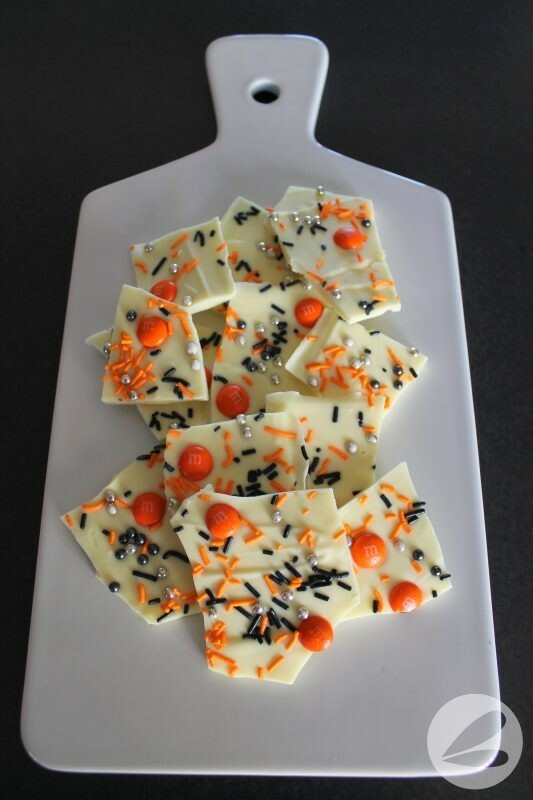 Love the white chocolate bark! !your boys would have had a fantastic party and sleepover.